In recent weeks, a new website identifying 30,000 TRS members as a "$100,000+ Salary & Pension Club" has been circulated via social media and several news sites. The website was created by the OpenTheBooks.com watchdog organization. In Forbes magazine, the group said that Illinois is home to "the most out-of-control" and "corrupted... education pay-and-pension systems..."
However, a closer look at the numbers shows that membership in this "$100 K Club" was the exception for Illinois teachers, not the rule. TRS provided the group with records through a Freedom of Information Act request. There were 30,492 active or retired TRS members in 2017 who either received a salary or a pension of $100,000 or more. What is the purpose for publishing a list of Teacher Retirement System’s recipients who receive over $100,000 a year (a small fraction of the total retirees) when, in fact, the average TRS recipient receives a pension of approximately $54,000 a year? Is it an attempt to deceive the public through a faulty cause-and-effect understanding of the State’s budget deficit? Does it seem fair and reasonable to exacerbate some people’s blind and misdirected anger by fallaciously claiming that the pension systems are the cause for the State’s chronic budget deficit? Is it because some people do not want teachers and other public employees to have a pension? 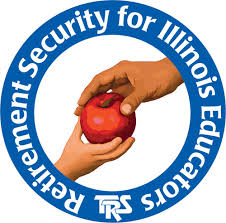 There are approximately 269,000 active and retired teachers in Illinois (Teachers Retirement System). Besides committing the fallacy of composition (to reason that the properties or minority of individuals are necessarily the properties of the whole which they constitute – in other words, 11 percent of a population is not representative of the whole), what has OpenTheBooks established except for a conspicuously-deep prejudice against teachers and administrators who have earned a constitutionally-promised pension that they have consistently contributed to throughout their careers and was under-funded by the State of Illinois for decades?